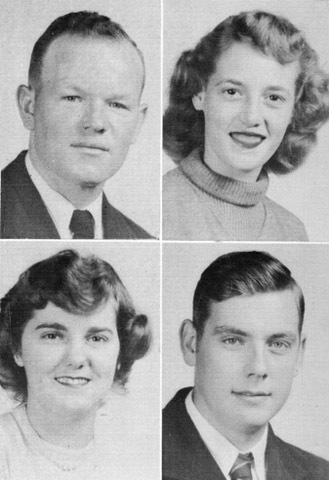 Comments: Shown above are the 1953 Senior Class Officers at Scottsville High School with their class sponsor and mathematics teacher, Mrs. Josephine Magnifico: (L to R) Mrs. Magnifico; Franklin Ferneyhough, President; Billy Moon, Vice President; Doris Bragg, Secretary; Bobby Spencer, Treasurer; Margaret Moore, Reporter. 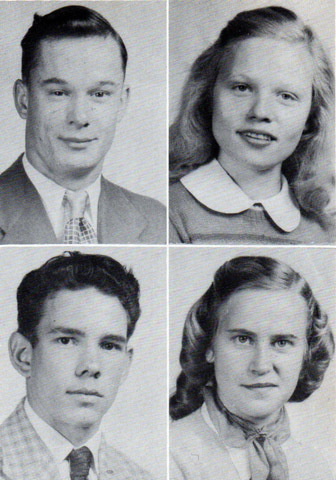 Row One (L to R): Doris Mae Bragg; James Henry Brown; Franklin Delano Ferneyhough; and Sylvia Joan Gay. 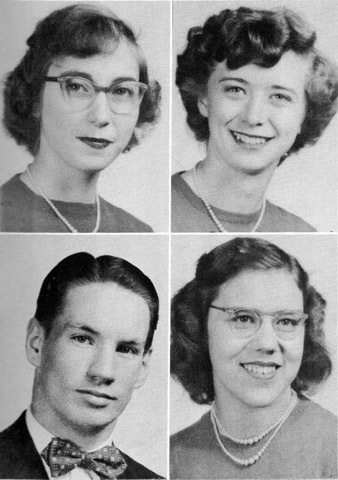 Row Two (L to R): Virginia Carolina Clements; Treobie Ann Dudley; Barbara Ann Hamner; and Joseph Edgebert Kidd. 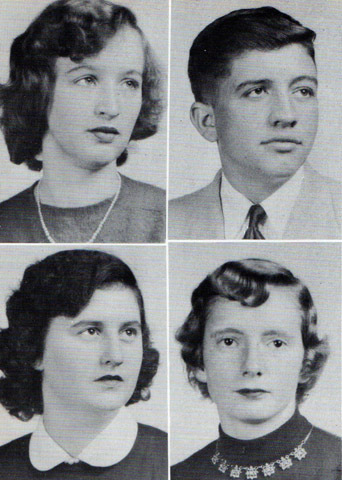 Row Three (L to R): Julian Davis Layne; Edith Ann Moon; Phyllis Laverne Morris; and Joyce Laverne Pyles. 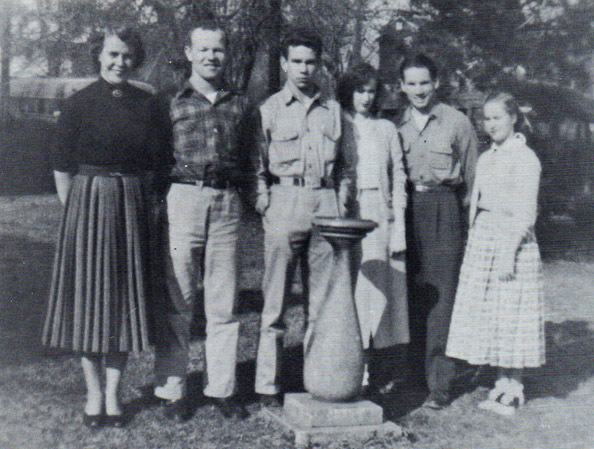 Row Four (L to R): William Matthew Moon; Margaret Elizabeth Moore; Robert Kirkwood Spencer; and Elsie Marie Staton.